A piece of furniture doesn't benefit from even the most beautiful appearance if it lacks functionality. 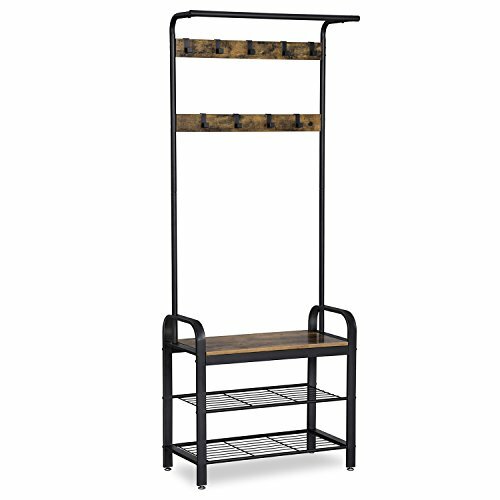 Our coat rack has a two-tier spacious shoe rack and a sturdy bench in the lower area. In addition, you can hang lots of clothes on the 9 available hooks as well as the clothes rail. Two tiers shoe rack that stores up to 6 pairs of shoes. Sturdy Metal Frame Construction with Classic Bronze Coating. Comfy cushioned seat with faux leather cover. 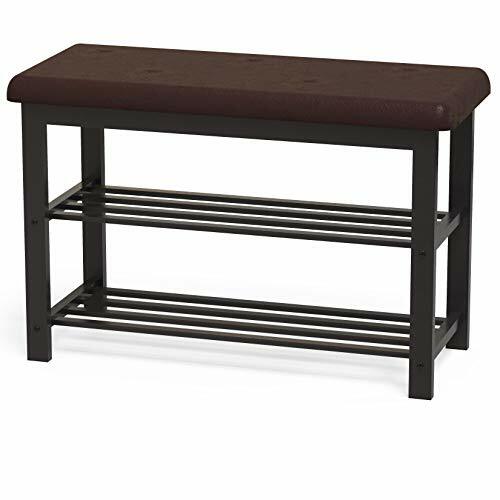 Otto and Ben 37-in EASY LIFT TOP Upholstered Storage Bench This mid-century modern bench with hidden storage is the perfect accent furniture to delight your home that needs storage as well as decor needs! Padded with memory foam, the cushion top makes it super comfortable for sitting while premium linen fabric and angular wooden legs add luxurious modern look to your interior. 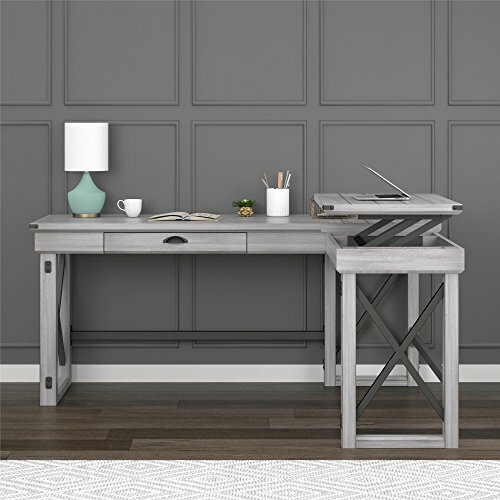 THE PERFECT ACCENT BENCH that will charm any space/feature of the house including ENTRYWAY / HALLWAY / LIVING ROOM / BEDROOM / WINDOW LEDGE / VANITY TABLE THE HIDDEN STORAGE is the perfect solution for your organization needs! All those loose items lying around like blankets, books, cushions, remotes etc. now have a place to be neatly stored inside a beautiful bench stool. EASY LIFT TOP - PREMIUM FUNCTION FOR A PREMIUM BENCH pneumatic (air-compression) hinge is known to be more durable than ordinary hinges and enable easy opening and smooth closing. CARE INSTRUCTIONS Spot clean, air dry. DO NOT use bleach. The Altra Furniture Wildwood Wood Veneer Rolling Cart in Mahogany is a versatile storage piece that can be used as a mini bar, an office organizer, or a kitchen aid. It's made of durable engineered woods that are finished in a rich mahogany hue with black accents. The utilitarian design includes a bottom shelf and a middle slatted shelf that accommodates all your favorite vintages. A handle on one end allows for easy pulling/pushing as you move the cart from room to room, while a single drawer provides space for your utensils and silverware. Some assembly is required. Dimensions: 39W x 22D x 36.625H in. . Made of durable engineered woods. Features a handsome mahogany finish with black accents. Can be used as a mini bar, an office organizer, or a kitchen aid. Includes 2 large shelves; the top is slatted for bottle storage. Soft-close drawer provides space for utensils. Some assembly required.